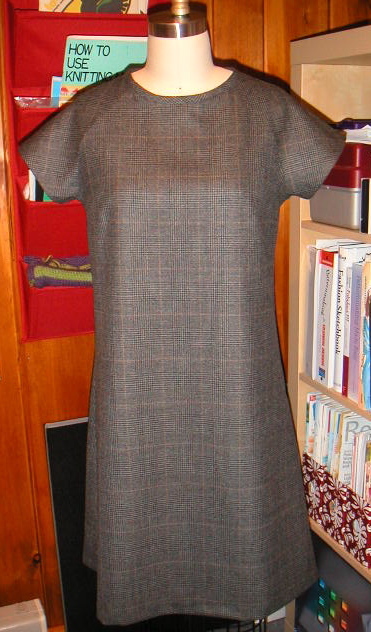 I've spent the last several days working on the finishing for the plaid dress. I decided to only put the bias trim on the neckline and hand sew all the hems at the sleeves and the bottom edge. I think this dress out pretty true to the original pattern, though I did make some modifications: shortened the length by four and a half inches and took in almost an inch on the side seams. 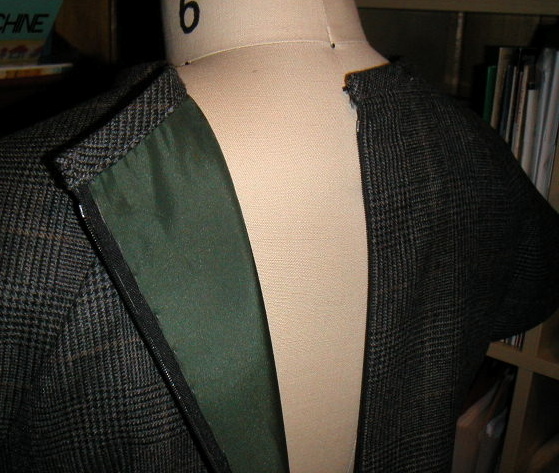 It fits me pretty well, though in retrospect, I think I should have added two back darts instead of taking in the extra width at the side seams. I thought the addition of darts would have made the dress more fitted than I wanted. Oh well, I still like it anyway! Thanks for the feedback. I definitely will try to make one of these now. Your dress turned out great.